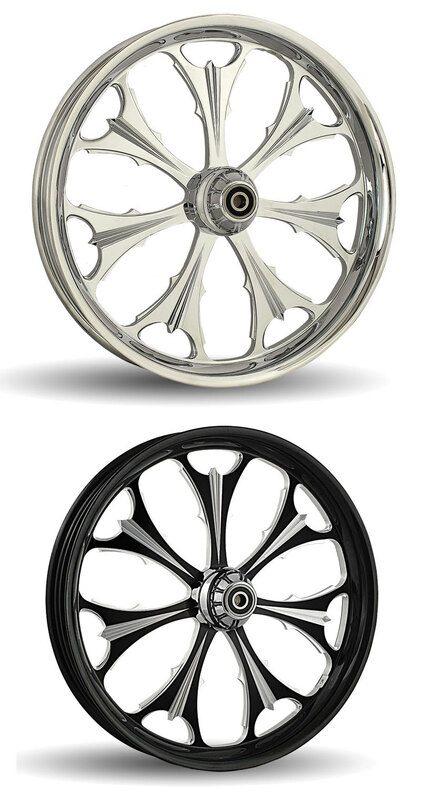 DNA'S line of billet aluminum wheels has been expanded with the introduction of the Beast. The seven split spoke design wheel is forged from 6061 aluminum and finished in a choice of chrome or cut black powder coat. 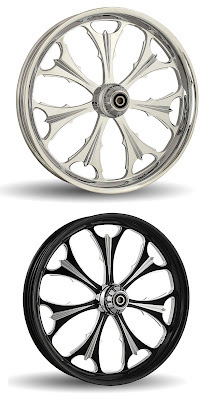 The wheels are available to fit all Harley-Davidsons up to 2012.